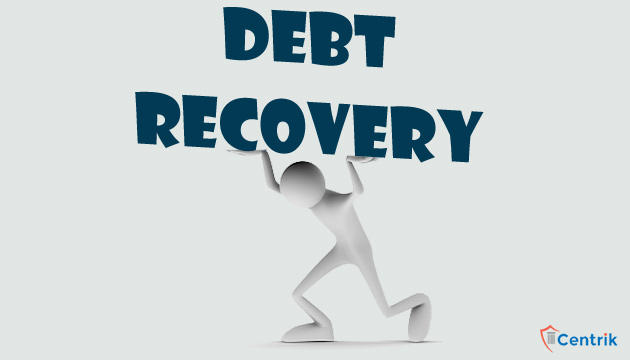 Recovery Proceeding can be started against Debtor/ Corporate Debtor in the event of default by the debtor. Debtor can be Company Only. To initiate this procedure one can approach the National Company Law Tribunal which exercises the power to dispose cases under Insolvency Code. In this article we will discuss about the relevance of Insolvency code for recovery of dues and how it is helpful in recovery. Default means non-payment of debt when whole or any part of installment of the amount of debt has become due and payable and is not repaid by the debtor or the corporate debtor, as the case may be. Unlike earlier law, where the primary onus to initiate a resolution process lies with the debtor, and creditor may pursue separate actions for recovery, security enforcement and debt restructuring, here the Code makes a significant departure from the existing resolution regimen by shifting the responsibility on the creditor to initiate the insolvency resolution process against the corporate debtor. Under the Act, any person has supplied Goods or rendered services to any Corporate Debtor; and such corporate debtor make default as non-payment of debt or any part of debt, non-payment of installments due, then creditor can initiate the action against the corporate debtor by filing of petition in NCLT. Creditor will issue demand notice to the debtor, if creditor doesn’t receive payment due within 10 days, then it can file application in NCLT for initiating the recovery (Corporate insolvency resolution) process. The NCLT within 14 days of application either accept the application or reject the application. Therefore, under this new code, within 24 days from the date of issue of demand notice, petition filled by creditor either accept or reject by NCLT. The unified regime envisages a structured and time-bound process for insolvency. Under this code there is no need to go to the high court for recovery of the debt by the creditors, due to time bound provision. Or we can say that this is the fastest mode of recovery of debt. As per the provisions mentioned above regarding supply of goods / services, creditor have power to initiate process in NCLT for recovery of debt with time bound manner and cost effective. Earlier its took long time to admission the cases by the adjudicating authorities due to lack of time bound guidelines. Earlier, filling a matter courts which was costly affair. On to above mentioned grounds like Time; Cost etc., small business owners avoid filing application in courts against the creditors to recover the pending payments. Under this code within 24 days of issue of demand notice creditor will come to know that whether his petition admitted or not. It is less costly then the application in the court as the fees for admission of application by the operational creditor is Rs. 2,000/-. As a result, one can opine that this act bestow a great opportunity on the small business owners to file applications for recovery of their debts. Under the Code, employees and workmen are also considered as part of operational creditor. If a Company fails to make salaries payment of employees or workmen and the value of payment is more than Rs. 1 lac then employees can file the application against the Company with NCLT for initiation of process of Recovery. Process, time, cost of the application by the employees and workmen are same as filing of application by creditor of supply of goods / services. As a result, this act gives a great opportunity to employees/ workmen of the Companies to file applications for recovery of their dues. Under the Code, if any person has rendered money (Loan) to any Corporate Debtor; and such corporate debtor makes default as non-payment of debt, interest or any part of debt, non-payment of installments due then lender can initiate the action against the corporate debtor by filing of petition in NCLT. Financial Creditor can file application in NCLT for initiating the recovery (Corporate insolvency resolution) process. The NCLT, within 14 days of application either accept the application or reject the application. Therefore, under this new code within 14 days from the date of filing of petition the NCLT either accept or reject the application. However, this code gives a chance to the financial creditor to recover his debt. Hence, considering the intention of the Law, one can opine that Insolvency and Bankruptcy Code, 2016 is Game Changer for the corporate debtors. Powers are vested with the creditors also along with corporate debtors to initiate insolvency process against the corporate debtor. The Code promises to bring about far-reaching reforms with a thrust on creditor driven insolvency resolution. The aim of the code is early identification of financial failure and maximizing the asset value of insolvent firms. The unified regime envisages a structured and time-bound process for insolvency resolution and liquidation, which should significantly improve debt recovery rates and revitalize the ailing Indian corporate bond markets. There is no doubt that once the Code is fully implemented, it is going to be one of the best initiatives by the legislatures and a boon to the economy in the broader sense. have been following up with M/s SRS Linited, faridabad for recovery of my term deposits matured worth 3.5 lakhs since last 6- months but to no avail. Company is in deep financial trouble , Wud filing an application with NCLT help. Any fees to be paid or any form to be filled for presenting my case before them. My employer (Aircel) is going through the Insovency procedure. Though we have filed the Form-D in prescribed format to IRP but it seems that wont be getting anything. Have not been paid salaries since April 2018. Can you guide the further course of action.. File interlocutary Application in filed I B petition pending before NCLT against corporate debtor. Based on the preliminary facts, you would be covered under “Operating Creditors” based on the argument that limitation act does not applicable to IBC. Based upon the facts mentioned you can file the case Under Sec 17 IBC in NCLT as you will be qualified as an Operational Creditor and you can get the dues and interest from the company. However before filing the case in NCLT you will need to get certain documents of the Public limited company. You will also need to send a legal notice for the recovery of dues to the company before filling a case in the NCLT. How the State VAT can be recovered from a company against whom NCLT proccedings are initiated ?? I am worked for company 28 years when the company fall down in 2007 they didnot pay me and told their is nothing for you (due).so i filed a case now my case in high court .they said the company is going to be liquidation and with nclt .they give a massage for me to settle the case with minimum amount .can nclt is beneficial or not for my recovery of required amount and what is process timeline in nclt in high court. Please guide me . i had service in one private ltd co. from 2006 to 2015.while service company has been not release our salaries and annual balance that why i had left from that co. Now company has been insolvency so suggest how can we get our balance amount from this co.. File your claim before NCLT where the case is filed. My Company has not paid the salary for the last eight months. No salary is received in 2018. The Company does not deny the payment but says that the bills are not cleared by NHIDCL. Salaries will be paid whenever the bills are received, depending on the amount received, is what the MD says. How to recover the salary from them? I got into agreement with Garment Dealership [principal] to sell ready made garments produced by the principal under principal’s name/brand by keeping Rs. 5 lac as security deposit. Dealership Agreement is for a period of 3 years but after 1 year, I as a dealer could not carry on the business profitably, sales were down. Now I have requested the principal to terminate the dealership and to pay back the security amount of Rs. 5 lac. No reply or response is received from the principal. Please advice me if I can file petition to NCLT for recovery of security amount? Am I covered under operational creditor? Please help. I had service in kalyanpur cements Banjari, Rohtas,Bihar from 2005 to 2015.My final amount not clear by kalyanpur cements .Dalmia cements take over to this company in Jan.2018 through NCLT.Today company is running by dalmia cements.So sir suggest how can we get our final amount from this company. As per given facts, first limitation act has to apply. i had filed a suit for the recovery of payment against the material supplied against a company in IPC in 2016 the case goes on and now the company claims to be insolvent in march 2018 .
how will my money recover now ?? I am working with the limited company last three years and company have not paid employee salary last 10 months, also they not paid EPF/TDS amount after March 2017 to till date. my total salary included EPF amount is almost Rs. 2.44 Lakh. what I have to for recover my pending salary amount. kindly suggest me better options. We had successfully won a tender for supply of material to a State PSU. The payment terms as per tender was 60 days but the company never adhered to the same. From releasing payment in 120 days they have started delaying it to 180 days. We have also found out that they have started procuring material from our competitors against Post Dated Cheque which in our view is illegal. Would like to know how can we proceed against PSU to recover about 30 lakh in NCLT. Also has there been any instances when an operational creditor has gone to NCLT and the PSU has cleared the outstanding payment. we have provided service to a pvt limited company who have signed mou with us . we have outstanding invoice more than 1.5 lac . we have send notice as per ibc-2016 claiming outstanding invoice . is a mere mail saying some dispute as per will consider a valid dispute under ibc-2016 . Sir I Served Dena Bank for 18 years and 10 months AS OFFICER and resigned from service in May 2011 as senior Manager. The Bank management had deducted PF on regular basis,,But on my resigning they refused to give the Employers’ contribution of PF stating that since I opted for pension(which was not implemented till i was released by BANK) I will not get it. So they neither considered me for pension nor gave PF. In this regard I had gone and met the authorities but in spite of verbal assurances they did not release either. Since Is organisation my home, I never wanted to file a suit against the Bank. After reading the NCLT guidelines I seek your assistance to get either the PF with interest till date or proportionate pension. Please let me know how to proceed for this. thanking You. Regards Captain Bhaskar Bhattacharya. Can an advocate file for an insolvency procedure against his client as operational creditor non-payment of dues in National Company Law Tribunal? any case or link regarding the same?? I was going through your write-ups on operational creditors filing at NCLT for salary. Need a small clarification, my notice period salary, gratuity, earned leave is over a lac amount, as per appointment t&c company is liable to pay this salary…most of NCLT terms are meet. Except that I had earlier filed a complaint at local labour labour commissnor office for reinstatement, and his mediation process has failed and now he has provided a reference order saying “…refer to labour court no….. to decide whether the termination was illegal or not…” and told to file an illegal termination case against employer using his reference order. Which I have not yet done, but pursuing my salary recovery via a colleague/mediator, but employeer is not agreeing for releasing full notice period salary. So in case of Labour commissioner mediation failure (case in labour court not yet filed, though a reference order is given) can I file a case in NCLT for my notice period salary recovery from my private limited ex-employer? One of my company debtors is already under NCLT control and I also have a pending due of 6 lacs to recover from them since 3 years. Should I send the demand notice to the debtor company or straight away with NCLT? How should I file petition with NCLT? Any legal help is appreciated. Builder failed to start project and 2 years passed and not even registered in RERA.The property is commercial.We applied for cancellation and some didn’t.After filing RTI we came to know that even land was not allotted.we filed criminal case ,which is going on. CAN we file case in NCLT also for recovery of our money. It would be reviewed after applying the limitation period.